The Beginner’s Guide to Creating Engaging White Papers. Everyone is always looking for free advice, so give your customers and prospective buyers exactly what they want. 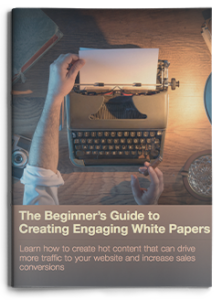 Create content-rich white papers that emphasize your value as a service provider and industry leader. How to select compelling content. How to write credible material. How to become an SME.